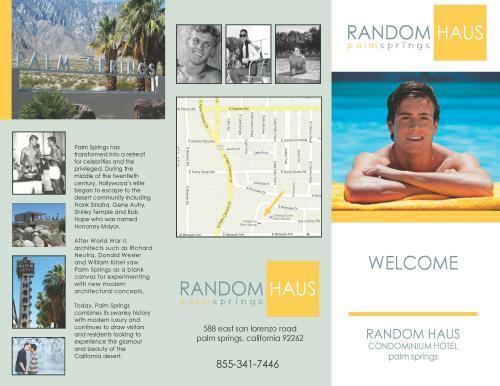 Random Haus is a new gay-centric hotel brand with its first hotel and fractional property in Palm Springs, California. 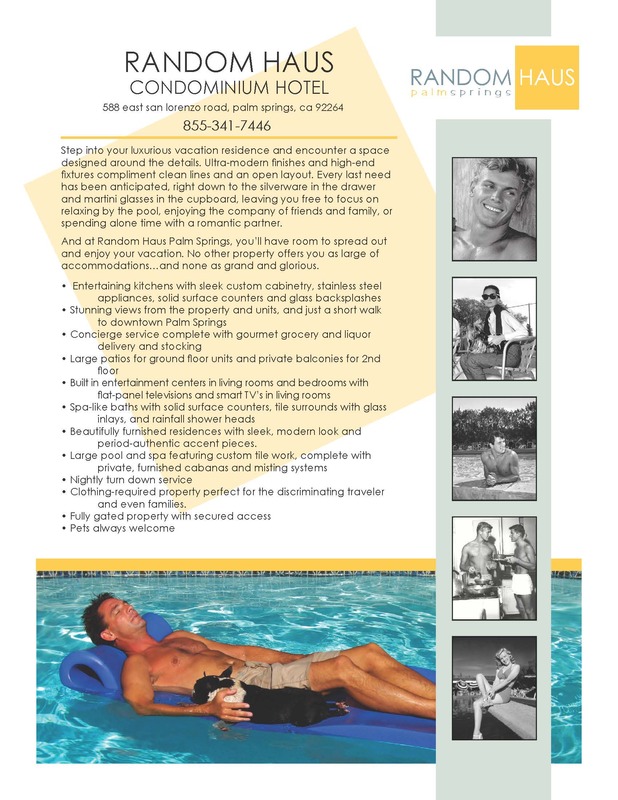 Positioning itself to be the new standard in gay travel, its luxury properties will pamper even the most discriminating traveler. The Palm Springs Hotel is a mid-century modern hotel inspired by the Bauhaus era, with sleek clean lines and beautiful furnishings. 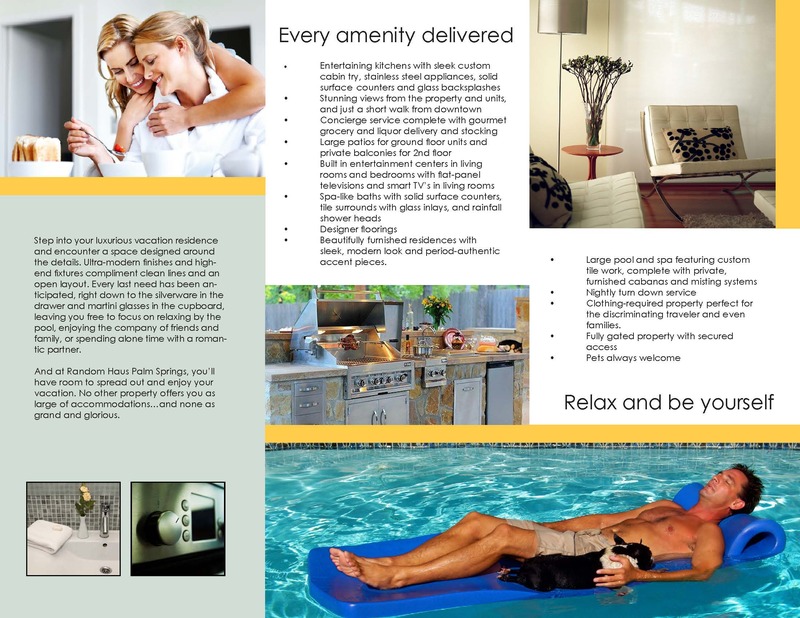 We were asked to create the brand and the supporting materials for both the hotel and the fractional offering.